I say it is a melancholy place. Rundown and neglected, with residence dreaming of the old days and waiting to die. A town empty of London's wealthy, who only go there looking for air. 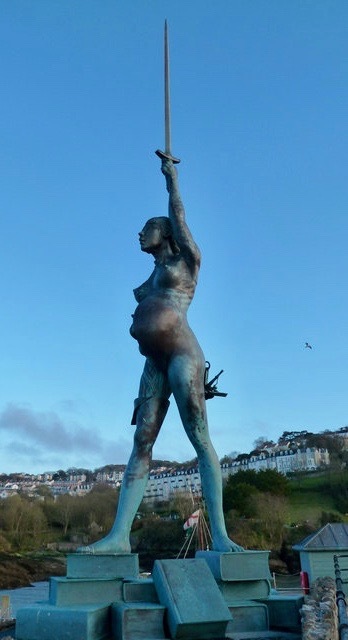 The town does have a big talking point, namely Verity, a statue of a pregnant woman. Verity is a stainless steel and bronze statue created by Damien Hirst. We did not get to see it as we decided to stay just outside the town and wanted to check in and then go to Woolacombe. We did plan to visit Ilfracombe the next day but things change and that is the beauty of travelling with not fixed agenda. "We acquired Trimstone and 44 acres in 2007 at which time the property was very ‘tired’. Well it is still tired. Susan was eager to see Woolacombe, the actual purpose of this part of our trip was to visit Woolecombe. I dread to know how the summer traffic copes with the narrow roads we seemed to have all over Devon, going to Woolacombe was no different. It is actually a very small town on an amazingly large beach. Over three miles long and about half a mile from waterline to the shore. A 10 minute walk took us around the town and then it was only the beach to explore after having a sandwich at the Captains Table cafe. 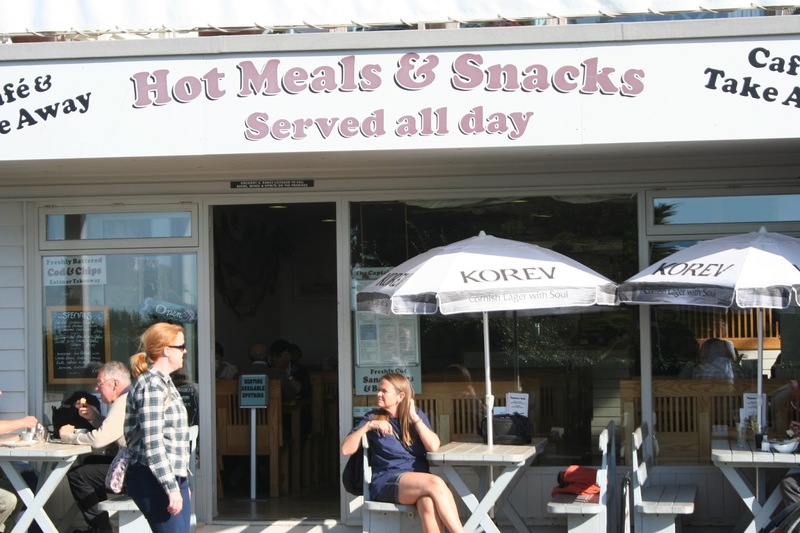 Just to fill you in, these villages in the north of Devon, are full of old surfers, surf shops and cafes. Old weather beaten surfers, who are mostly single, as the bronze girls of yesteryear have moved on, married and now are comfortable in domestic bliss. These old surfers still chase the perfect wave. Just a point I need to clarify. I am not a travel writer, I write about things and people. A travel writer, writes about movement. Just thought I should clear that up. Getting back to the beach and the shear size of it. 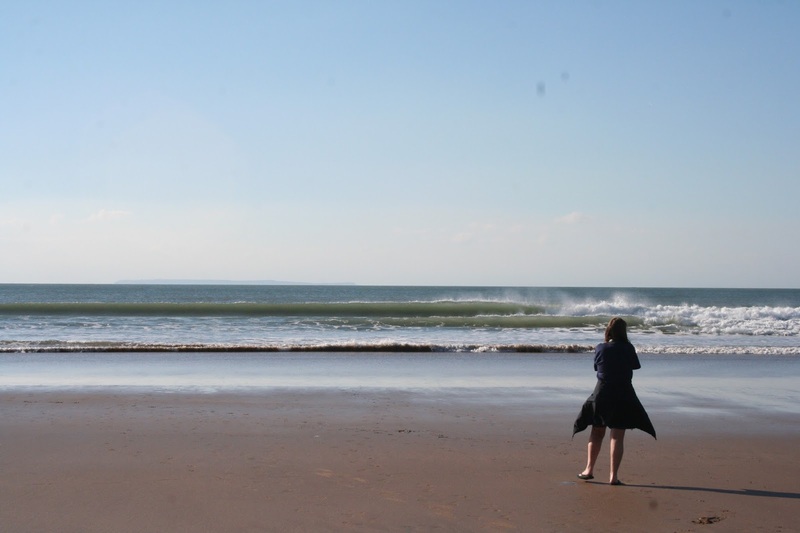 In UK standards this is a big beach and we are facing the Celtic sea, so the waves are clean and really good for surfing. I just hope the photos we have uploaded do it justice. 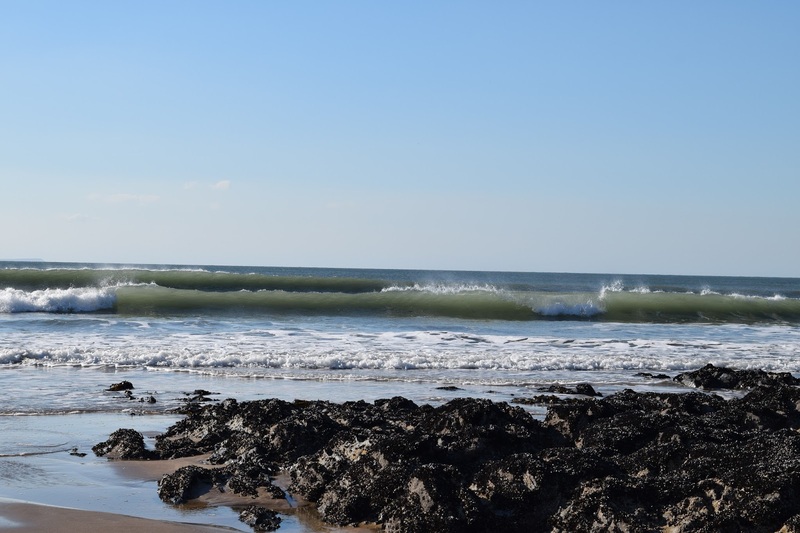 We walked to the water line and then over to the surfers, quite a few out and from what we could see, they were catching some very nice waves with clean breaks. Went back along the coast and before we knew it we were back at the Manor House, and in the comfortable lounge downloading the images from the cameras. The owner came over and informed us that the restaurant and bar were closed and we had he place to ourselves. With that they left. This is when traveling gets interesting. Do we opt for a bad nights sleep in an unfamiliar bed, go out and find a place for something to eat? One look at Susan, I suggested we go home. Poole was only 2 hours away and it was only 5pm. Oh the joys of travel, we took less than 5 minutes to pack our bags and were home just after 8. Stopped for a cheese burger from Burger King for Susan. It had to be Burger King, lady knows her burgers. That was our holiday adventure, I am sure the next time we will venture further a field for maybe 5 days, taking it gently. Sam was pleased to see us and sleeping in our own bed was most welcome. Something I did learn, was to maybe stay at a good venue and get use to the bed. Make it a base, a familiar place to come back too. Would love to go to the Lake District some time. 5 deg C this morning, who would of thought it this early in October. Till anon.